The result of an intense year long design collaboration with a tech startup based in the middle east, the portable and sleek Bio-Metrix device was first conceptualized with the secure banking industry in mind. expedio was involved in the industrial design, mechanical and electronics engineering, prototyping and manufacturing sourcing. Bio-Metrix features a tonne of high tech puzzle pieces, housed in a beautiful, compact and portable form factor. There's custom hardware, mechanical design, firmware development and electronics under the hood. Bio-Metrix is thoughtfully designed with attention to ergonomic considerations, security and more. 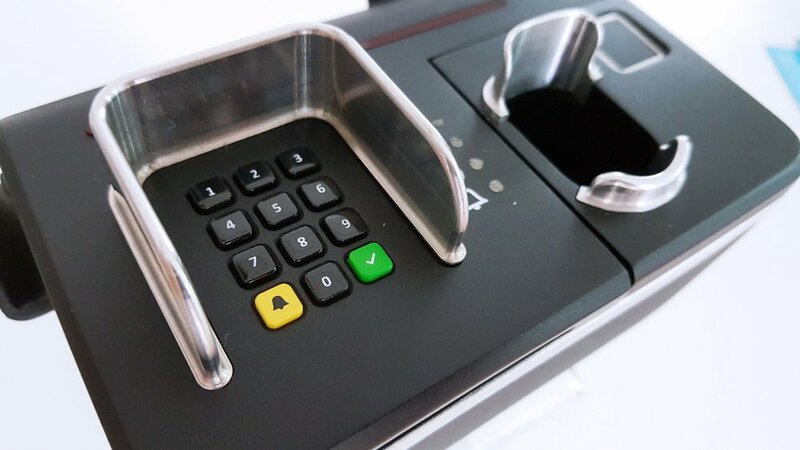 Bio-Metrix exceeds the exacting security requirements of financial institutions with built in two step authentication including fingerprint and pass-code, straight out of the box.